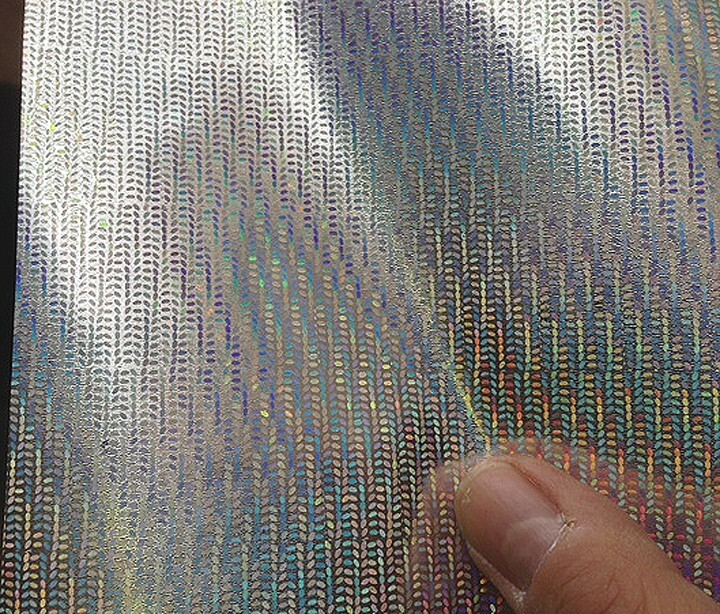 High-tech pattern holographic on .010 unsupported PVC Film. 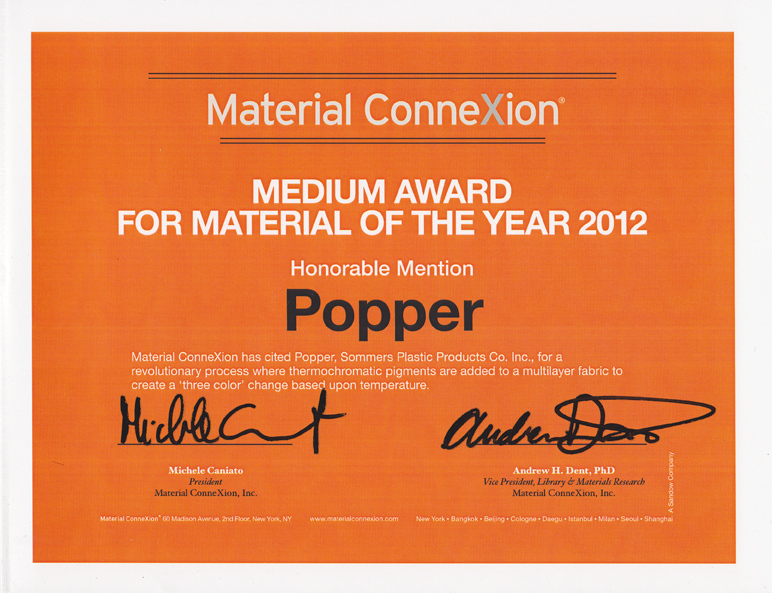 RF Weldable and sewable. Note: Limited inventory and will not be reproduced. Inquire.